Here in Ottawa, we are lucky enough to have a truly fantastic bakery called Art-is-in. Their breads, pastries and sandwiches as well-known both in the region and beyond for being amazing. If ever you find yourself in the unassuming City Centre around lunchtime, you absolutely MUST go there for lunch - the sandwiches are super crazy good and I pretty much dream of their spicy pickle melt every night. I stopped by there earlier this week, not to get a sandwich (lines are crazy at noon, but if you go at around 11:30, it's usually not too bad), but to grab some of their dynamite loaves to bring to a party. While grabbing those (I got kalamata olive and cheddar jalapeno), I also snagged a loaf of their raisin hazelnut sourdough. Hazelnuts are my favourite nut, so I've always loved this bread - I like it plain and lightly toasted, but where it really excels is in a baked French toast. I was first introduced to the concept of overnight French toast by the epicurious creme brulee version (which is fantastic, btw). I love that you just take five minutes at night to throw together a super quick dish, and then in the morning, you pop it in the oven and have a delicious breakfast that's ready for everyone. 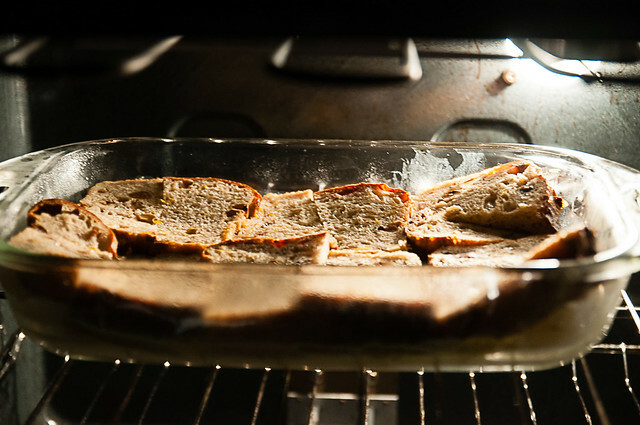 One of the downfalls of stove-top French toast is that you can only do 2-3 slices at a time, and even then, if you crowd the pan, cooking is uneven, and to top it off, you spend the whole morning standing over a hot stove. 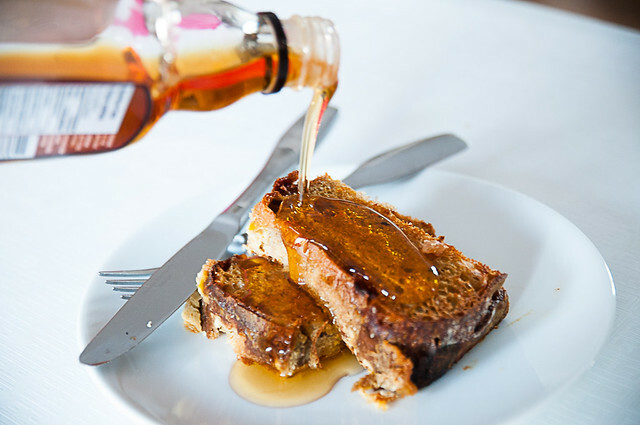 Baked French toast gives you the deliciousness without any of the irritation. It's not *quite* the same as stovetop, but if you are a French toast fan, I think this is worth a try. I just set my alarm an hour early, put it in a cold oven and then went back to bed, and woke back up the the smell of delicious richness wafting through my house. One little tip - if you don't have time to bring your casserole to room temperature, I highly recommend putting it in a cold oven, and just baking for a bit longer. Cold pyrex + hot oven is just asking for trouble, so to avoid any issues, I put the dish in the oven, then turn it on. That way, it heats up along with the oven and you should avoid any pyrex shattering issues. 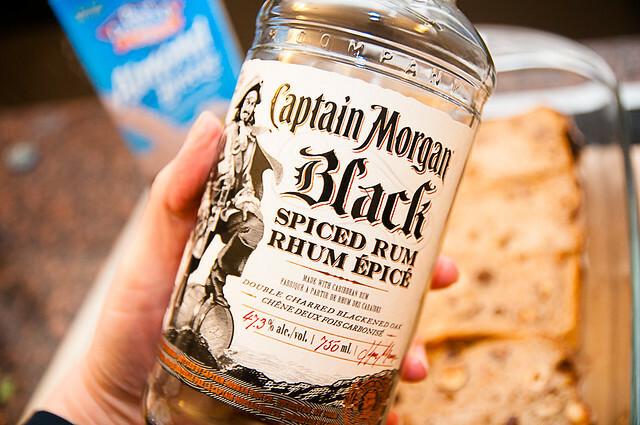 I normally go for cinnamon with my French toast, but I wanted the bread to be the star, so I kept the flavouring a bit milder - I used just under an ounce of Captain Morgan's black spiced rum (though vanilla extract would do the trick too), and the zest of about 1/4 of an orange. Just enough to provide a bright note to cut through the richness of the sourdough and custard. 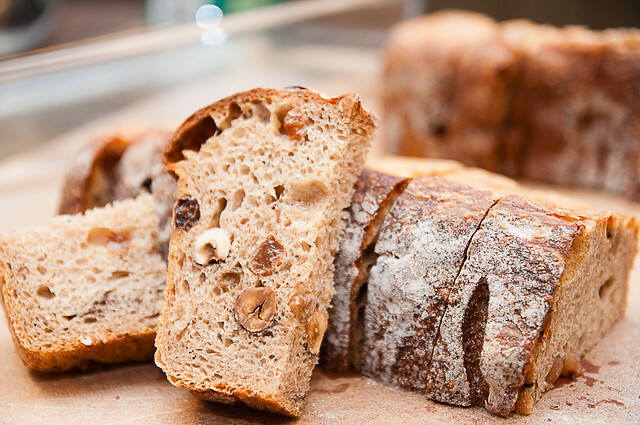 If you aren't lucky enough to have access to a great bakery, this would also be great with a cinnamon raisin loaf (though try to buy one you can slice yourself). Overnight French toast is best with a hardier bread (rather than a sandwich loaf), so a baguette would give you equally great results - you could just sprinkle frozen blueberries and slivered almonds, or really any flavour combination that struck your fancy. You can also use thin slices of bread and create sandwiches with cream cheese and preserves for a stuffed French toast. The concept is simple, the execution is simple, but the possibilities are endless and the results.....so freaking good. 1. Take your sliced loaf and arrange it in a 9x13 as best as you can. I sliced my slices in half to try to fit as much as possible in my pan. 2. Whisk the eggs with the brown sugar. Gradually add the milk (your custard will blend better this way). 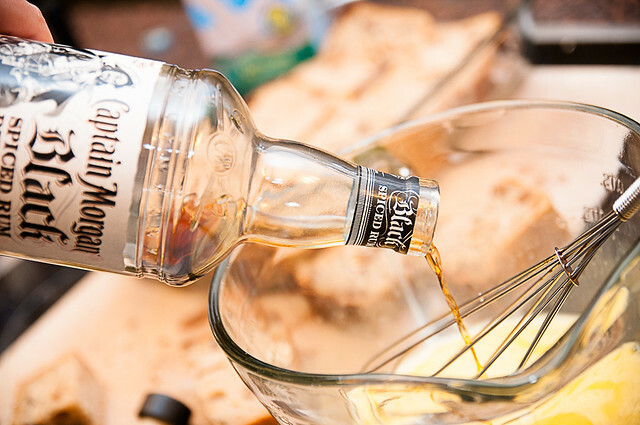 Whisk in the rum, orange zest and pinch of salt. 3. 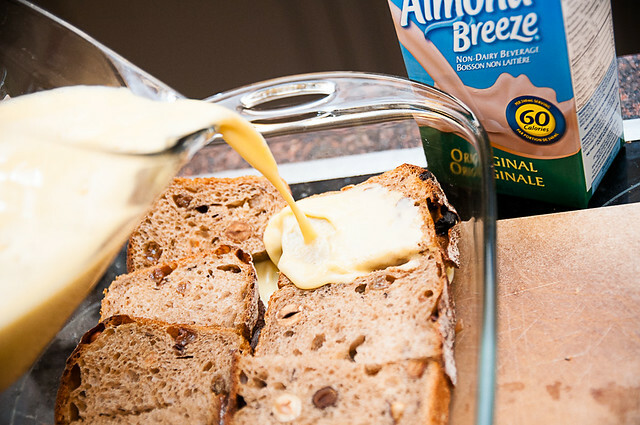 Pour the custard over the bread, cover with plastic wrap and refrigerate overnight. 4. In the morning, remove the plastic wrap, place in a cold oven, turn the oven to 350F and bake for about 50 minutes (if you have time for the dish to come to temperature, you need only bake for 35-40 minutes).